Unlock new features for your Bebop 2 via a companion app -- for a price. There was a time when Parrot was the name in consumer drones. That's partly because, way back in 2010 when it launched the AR.Drone, the DJI Phantom was still some years away. Today, the landscape is a little different: DJI now dominates the skies, while its competitors can't seem to catch a break. Except Parrot. The French company remains unfazed by the large industry that has grown around it and continues to do what it's always done: make fun, accessible products. That's not to say the company isn't looking forward, though. Two recent updates to its Bebop 2 add "FPV" video goggles and the ever-popular "follow me" mode. This sees Parrot finally adding traditionally higher-end or hobbyist features into a drone your technophobe parents could fly. 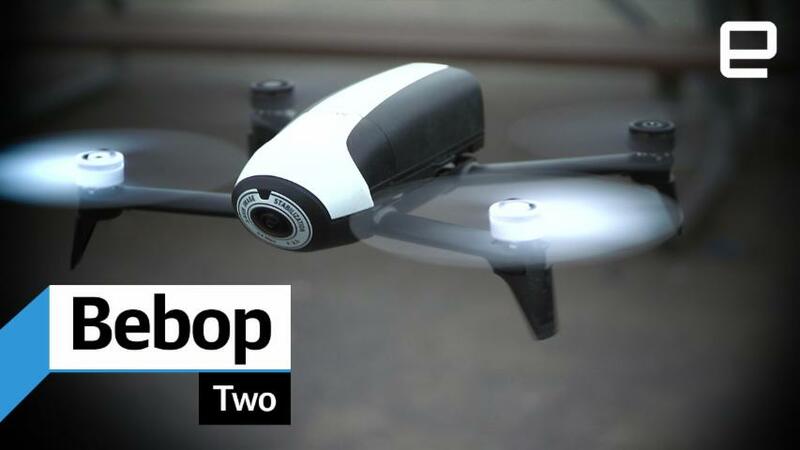 Best of all for Bebop 2 owners, at least, is that both the goggles and follow-me feature will work with your existing drone. 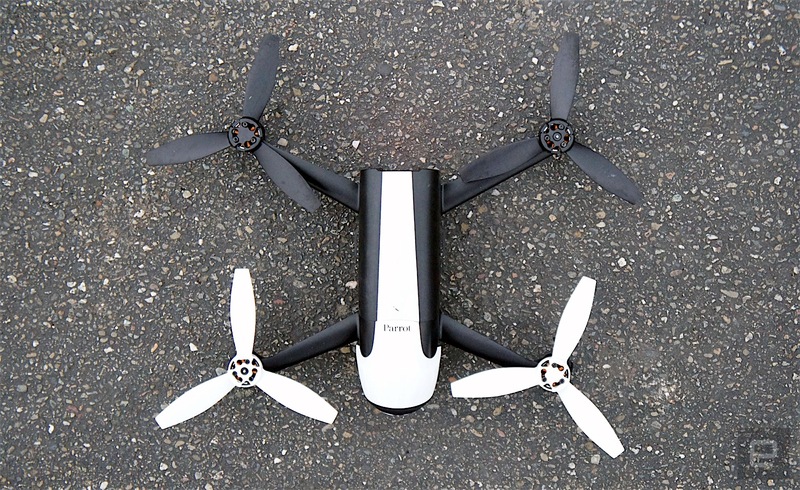 For Parrot, though, it's all about re-invigorating the company's flagship quadcopter, just in time for the holidays. I've tried a number of drones with "follow me" modes, and each manufacturer has its own take. DJI's implementation relies exclusively on visual tracking through the camera, which it calls "Active Track". AirDog, on the other hand, uses a GPS wearable. Some other drones use your phone. Other methods still rely on GPS in the controller itself. Parrot's interpretation is a blend of GPS (via your phone) and DJI-style visual tracking. In theory this should be quite stable given that the Bebop has two different ways of knowing where you are. In a cold, overcast park somewhere in the Bay Area, I tested out the new follow feature with generally positive results. Selecting a target to follow is easy, just tap on them via the app on your phone. That target/person will want to keep the phone with them for optimum connectivity. If Bebop loses "sight" of you, it falls back to the GPS signal to know where you are. I didn't encounter this problem, but sometimes the drone would suddenly fly back or rotate left/right as it tried to keep me in focus. When playing back videos recorded by the Bebop, you can see some jerky motion as it follows. Nothing too egregious, though. Parrot's app also has all the smart camera modes you'd expect from a product like this, including the aerial selfie (aka "dronie") and orbit that can also work with the follow feature. Like DJI's Active Track, the Bebop 2 is smart enough to perform an orbit around a moving target (some drones just orbit a set point). "Follow me" is just a small part of Parrot's growing up, though. I already mentioned FPV, which you can read more about here. Parrot's goggles work much like a mobile-based VR headset. Activate FPV mode on the app, slide your phone into a goggles, and you'll see what the drone sees as if you're inside it. It's much fun -- and easy enough with the Bebop 2 that kids and parents can use it together. As a reminder, to fly FPV with a hobby drone, you'll often need to open it up and add bits, or meddle with aerials and frequencies. Other drones like DJI's Phantom series need bespoke (and potentially pricey) goggles. That the follow feature costs $20 to unlock in Parrot's companion app is a double-edged sword. It would have been nice for this extra functionality to come in a free app upgrade, but the fact Parrot is charging for it suggests it's trying to get a return on an investment, which we hope means similar upgrades could be in the works. It could just be a money grab, of course, but for now I'm giving Parrot the benefit of the doubt. The FPV upgrade is a little pricier. Existing Bebop owners need a new controller along with a headset that currently costs $350. However, if you don't already have a Bebop, you can currently pick one up for $500 -- a promotional bundle that includes the goggles and controller (the regular price is $699). Given that Parrot also recently created a drone developer kit, with dual high-res cameras, onboard barometers, a motion sensor and more, it's clear we can expect even more advanced quadcopters to come in the future, but for now, it's refreshing to see Parrot help Bebop owners eke out a little more mileage from their existing quadcopters. We'll always enjoy Parrot's crazy toy drones too, but everyone has to grow up eventually.